The mini tummy tuck is a relatively simple procedure that removes excess fat and tightens the skin on the lower abdomen. For people who are looking for a less-invasive procedure than the full tummy tuck, the mini is a great alternative. Lavida Cosmetic Medicine offers this procedure at our conveniently-located Caringbah and Bankstown locations, which offer cutting-edge equipment and private facilities, and are staffed by highly trained and experienced professionals. 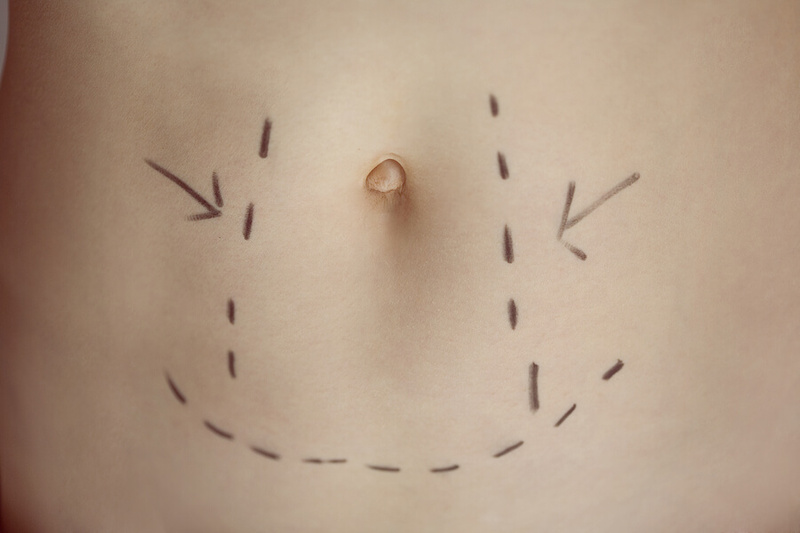 The mini tummy tuck is a procedure suitable for both men and women that reduces the recovery time and scarring that can occur with a full tummy tuck. The mini tummy tuck involves making an incision along the lower abdomen, below the belly button, then tightening the skin in this area. It can also involve removing excess fat via tumescent liposuction. A mini tummy tuck procedure only takes a few hours to complete, and requires only a one-night stay at our facilities. Recovery normally takes only a few weeks, with full recovery to normal activities after about six weeks. You should be able to return to work in less than two weeks. Lavida Cosmetic Medicine is staffed by highly experienced medical professionals dedicated to providing you the best possible care. Our principal doctor is Dr. Sam Botros, a fellow of the Australasian College of Cosmetic Surgery with nearly a decade of experience in this field. Dr. Botros has performed numerous tummy tuck procedures and is highly regarded within the cosmetic surgery industry. As an associate member of the Cosmetic Physicians Society of Australia, Dr. Botros is required to stay abreast of medical and scientific advances in the field. You can rest assured that at Lavida, you’re receiving the best possible care. If you are considering a mini tummy tuck procedure, we recommend that you contact our Bankstown or Caringbah locations to set up a free consultation. Our team will assess your needs and figure, and discuss the best options for you.